Our history is made of passion for the sea and beauty. 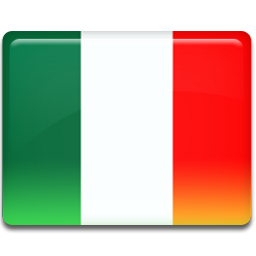 The result of years of study, testing and experimentation, our products now place themselves at the top of the global production of the sector, an unexplained sector that sees Italy in first place in terms of aesthetics and reliability. 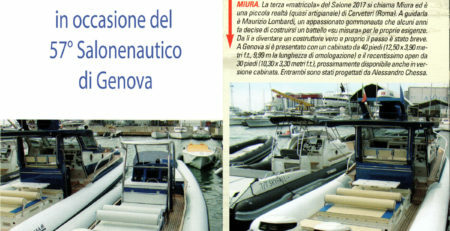 Miura 40, the ship’s first inflatable boat, is a vessel of 12.50 meters overall, with an incredible performance. Designed for those who love to experience the sea at 360 °, with their feet soaked and with the fishing rod in their hands, it comes from a multi-year experience of the sea. Miura 40 is an unregistered vessel of 12.50 meters f.t. from the performance of all respect. 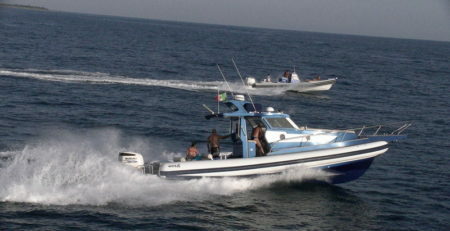 Miura 30 is an unregistered vessel of 10.30 meters f.t. from the performance of all respect. We are a highly professional reality but able to maintain the family philosophy of a craftsmanship at the top of world standards. The production of industrial type makes inflatable boats that look like boats, we wanted to keep the role of the rib making sure that the tubes are actually on the water. The inflatable boats of our shipyard are unique in the world, one different from the other, but in common they have an extreme research in the field of safety, aesthetics and quality of finishes. Safety and reliability first of all. 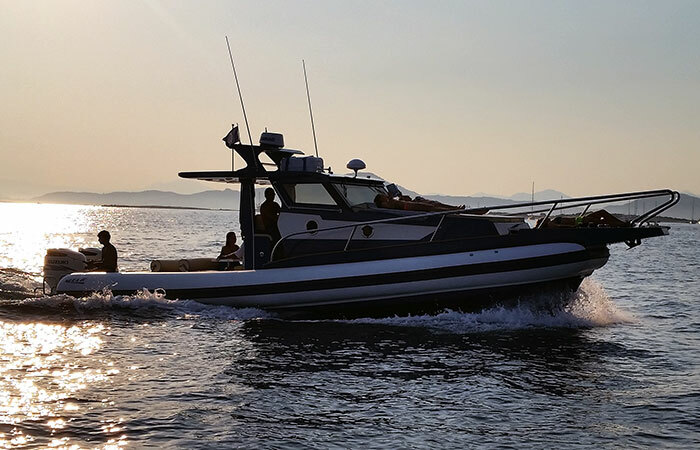 Miura boats are built following the highest international standards and guidelines, without compromise, preferring safety in any sea situation. Being hybrid boats, they are unequaled from the point of view of reliability and safety at sea. Miura boats stand out for the high level of on-board electronics. The technologies that are installed on Miura boats are: GPS Plotter, Depth Sounder, Radar and Autopilot. 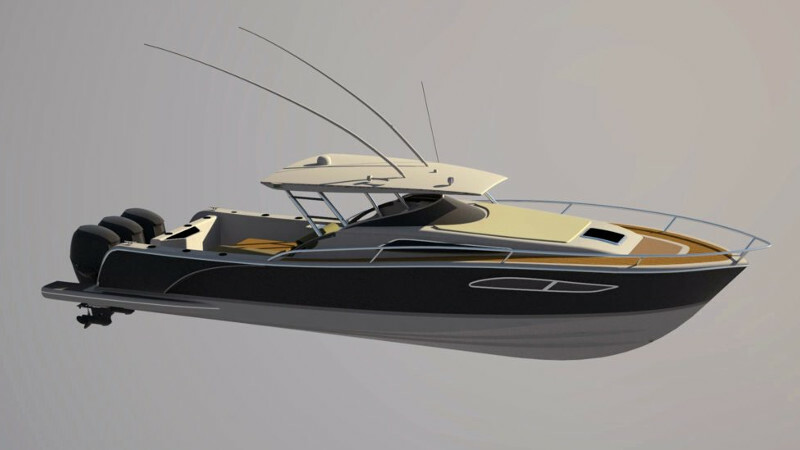 All Miura boats can be customized according to the client’s aesthetic and / or functional needs. The Miura team is at your disposal for any need and information. Miura boats are perfectly balanced to guarantee performance and efficiency. The engineering of the vehicles has been studied perfectly to guarantee speed without the need to exasperate the engines. 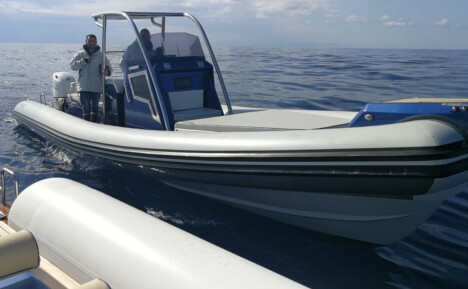 The inflatable boats of our shipyard are unique in the world, a different one, but in common they have a research in the field of safety, aesthetics and quality of finishing.